Last summer I lamented the failure of KYE Creations’, Jaws of Extinction on Kickstarter. The project’s lead developer assured backers that despite failing to reach their funding goal the team wasn’t ready to quit. 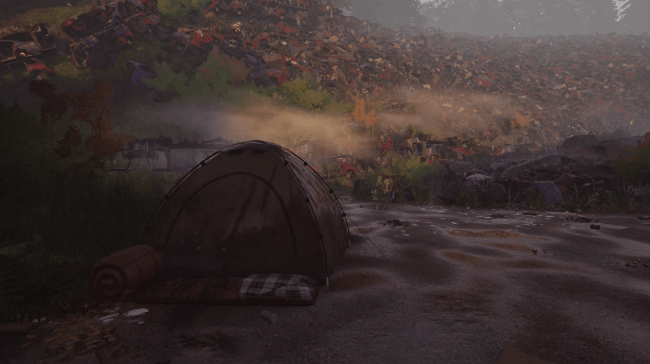 Now this promising open-world survival game is back with a new campaign and a working prototype. The campaign goal is $85,090 this time around. Backers at the $7 and higher tiers receive instant access to the prototype. It’s unusual for a failed project to return with a higher funding goal, but KYE insists this budget is necessary. They plan to fund development over the next four months while preparing for an Early Access release. One of the key features of Jaws of Extinction is its robust crafting and building mechanics. Players can claim abandoned structures to fortify or build new strongholds from the ground up. Weapons and utility items offer various levels of upgrades to help players survive more efficiently. This becomes increasingly valuable as the game’s survival mechanics come into play. Designed to mimic real life survival, hydration, hunger, temperature, and other conditions all contribute towards a player’s health and energy. You might be able to survive approximately three weeks without food or 3 days without water, but doing so could come with serious consequences. You’ll want to be at your best if you find yourself facing off against corrupt military officials, rogue survivors, or the wandering undead. Jaws of Extinction offers players both, single and multiplayer modes. Players can attempt to survive alone, in private games with up to 4 friends, or in online multiplayer surrounded by potential enemies and allies. While the working prototype has provided a moderate boost, by way of garnering attention from content creators on YouTube, the campaign is still trending well below its funding goal. Hopefully, the campaign will at least draw some much needed attention to the Jaws of Extinction Early Access release later this fall.